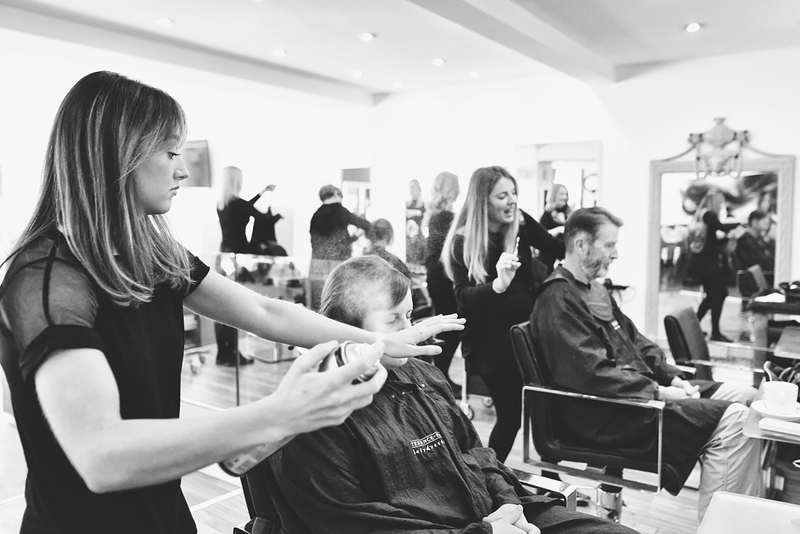 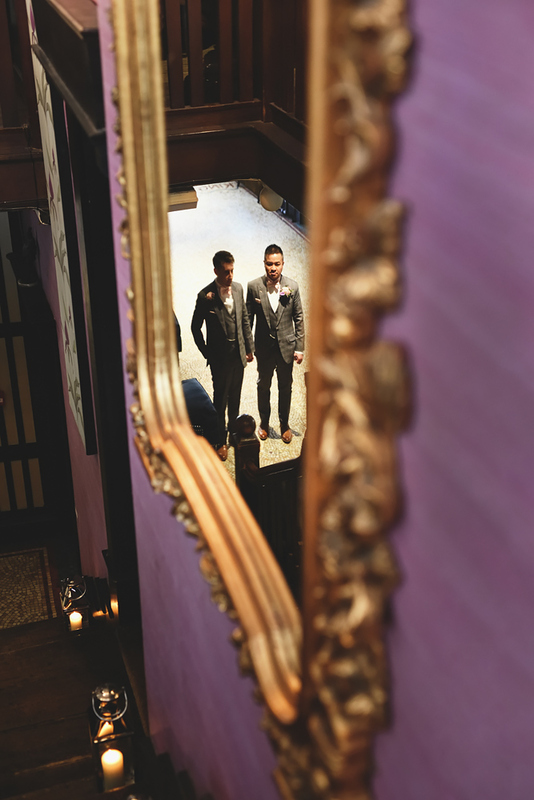 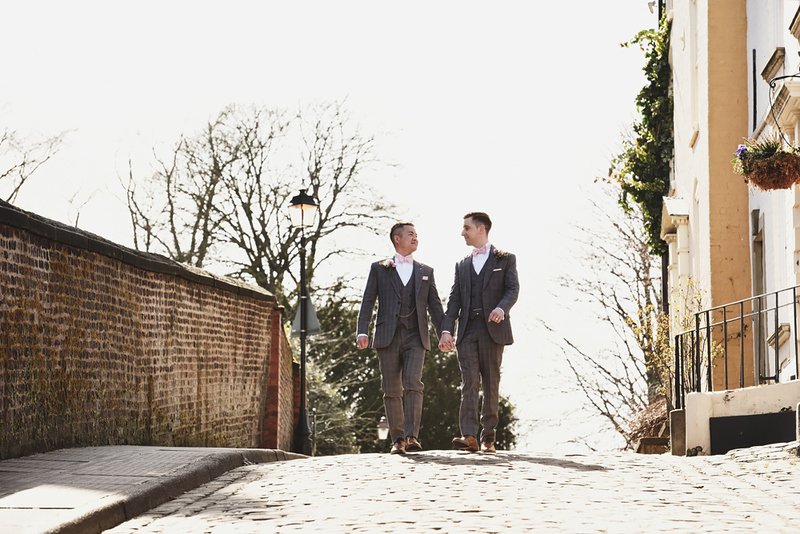 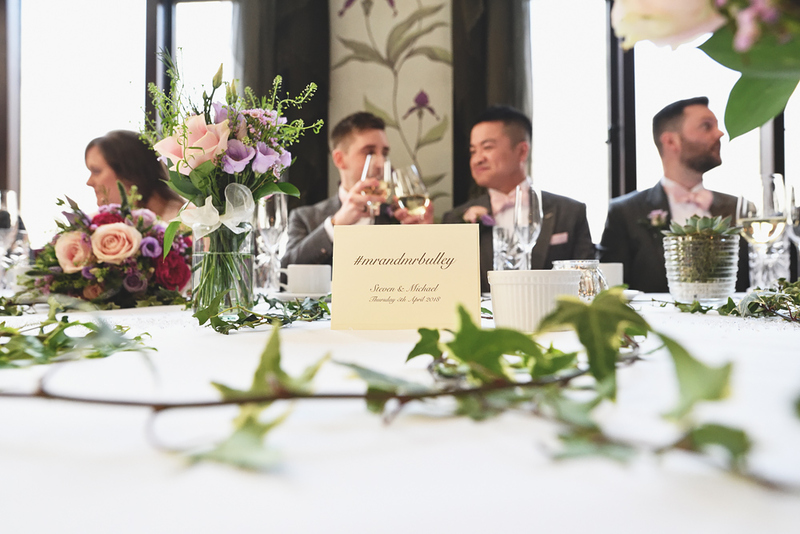 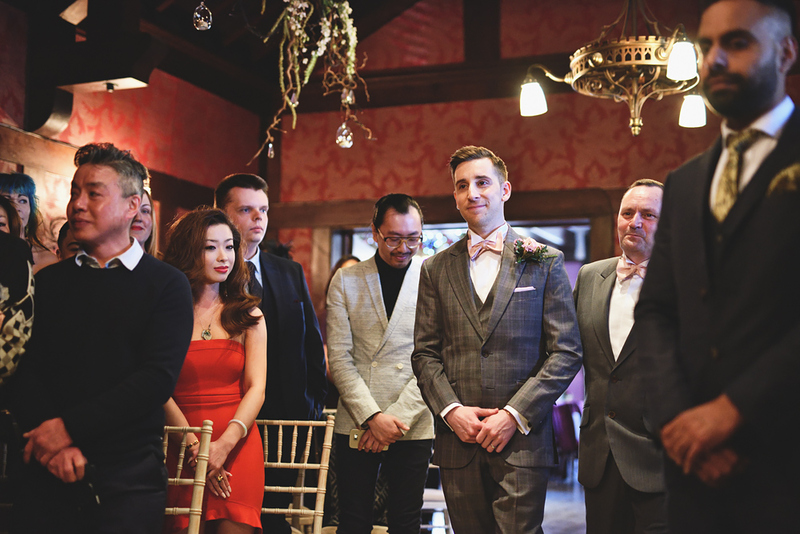 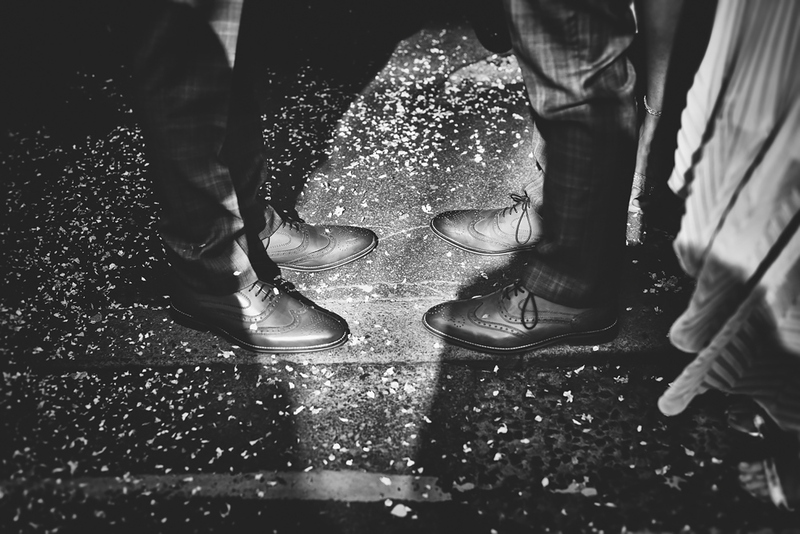 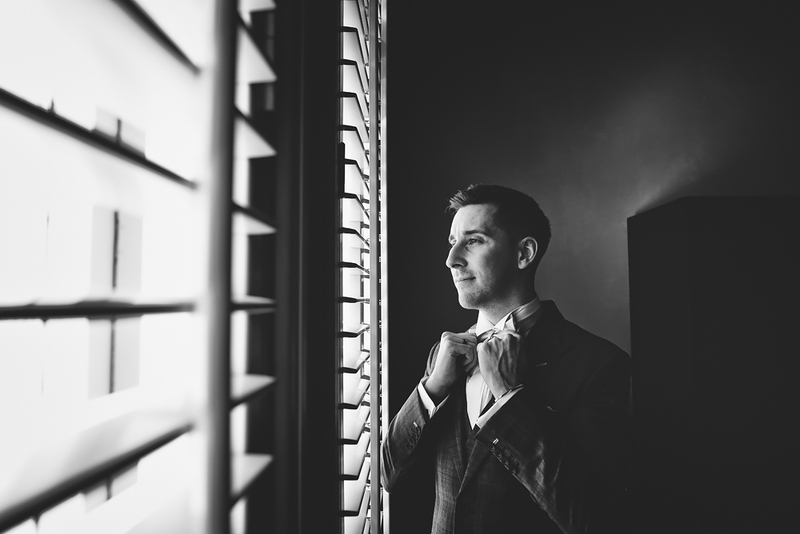 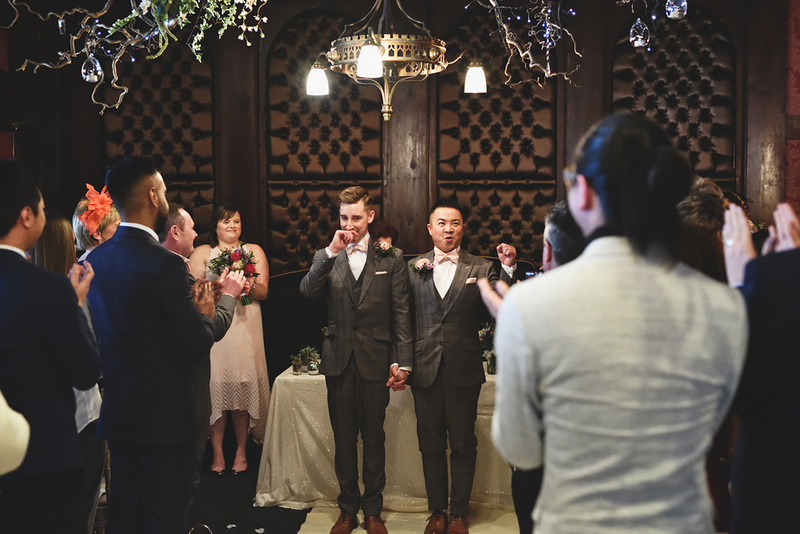 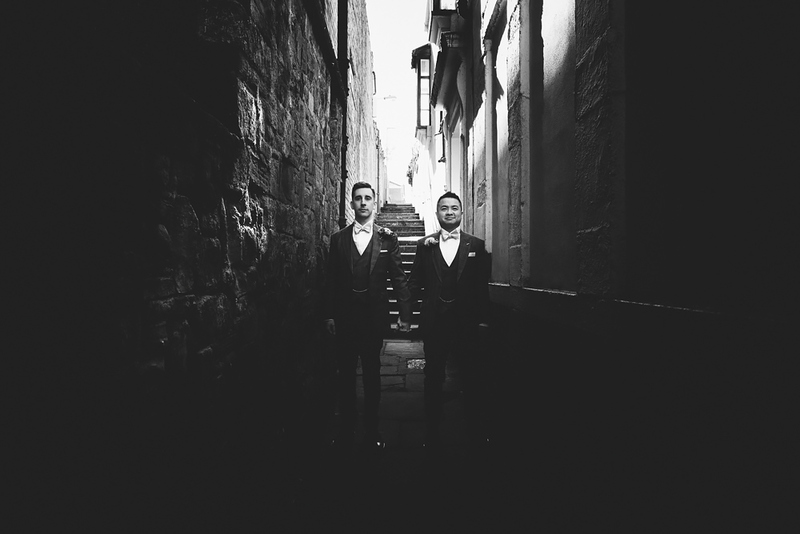 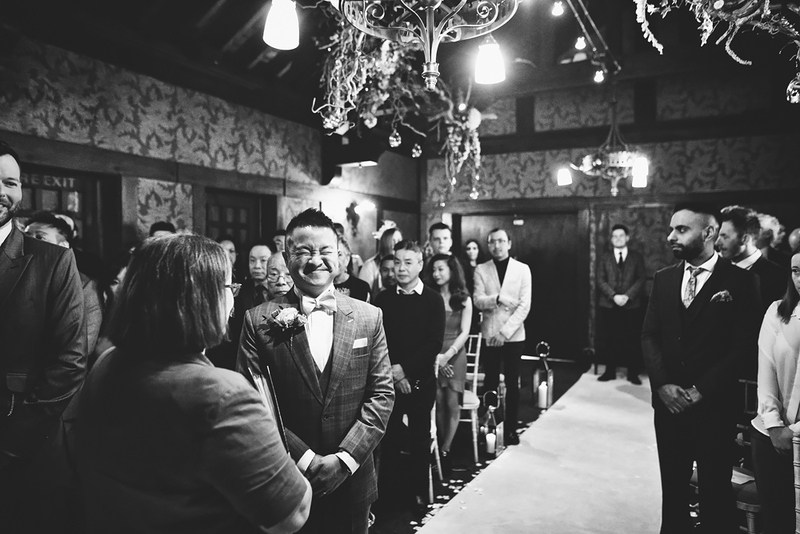 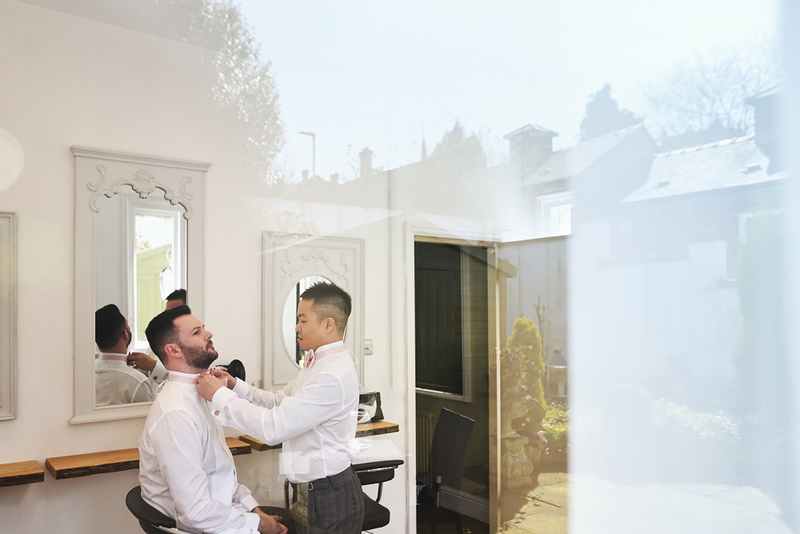 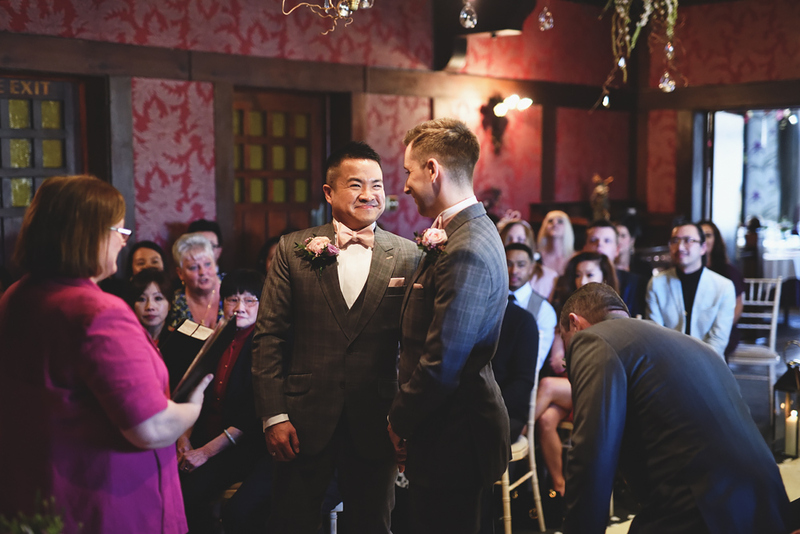 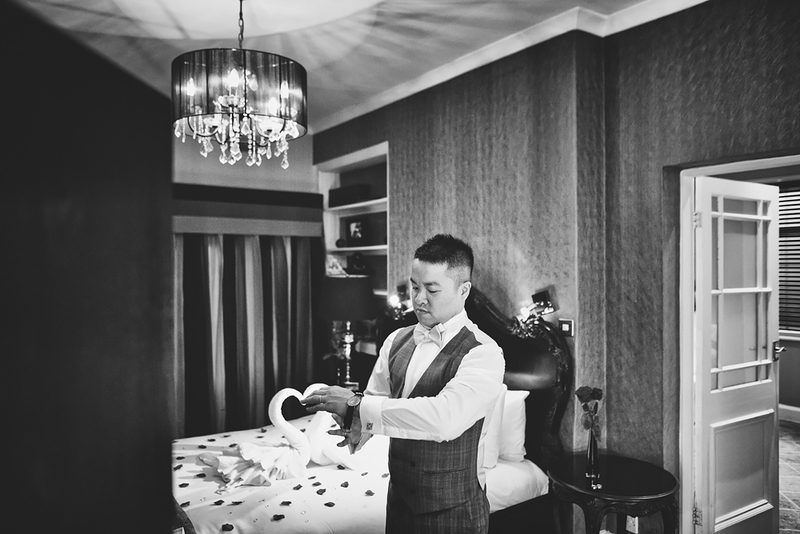 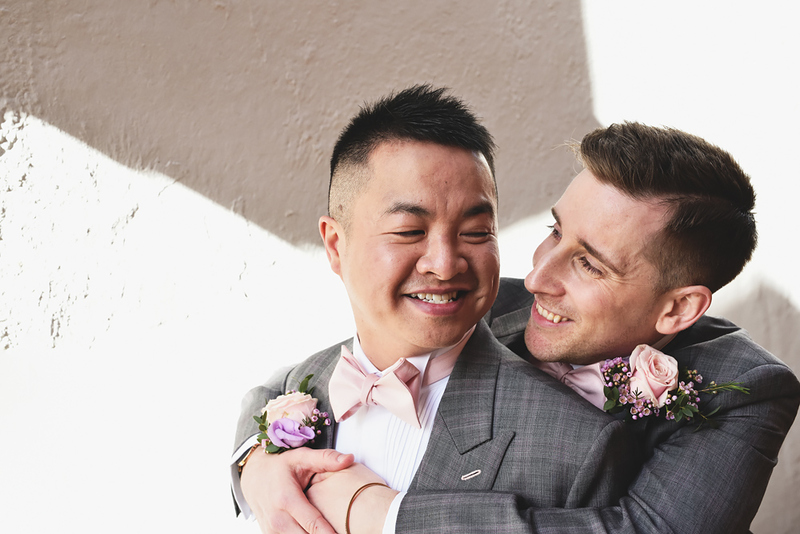 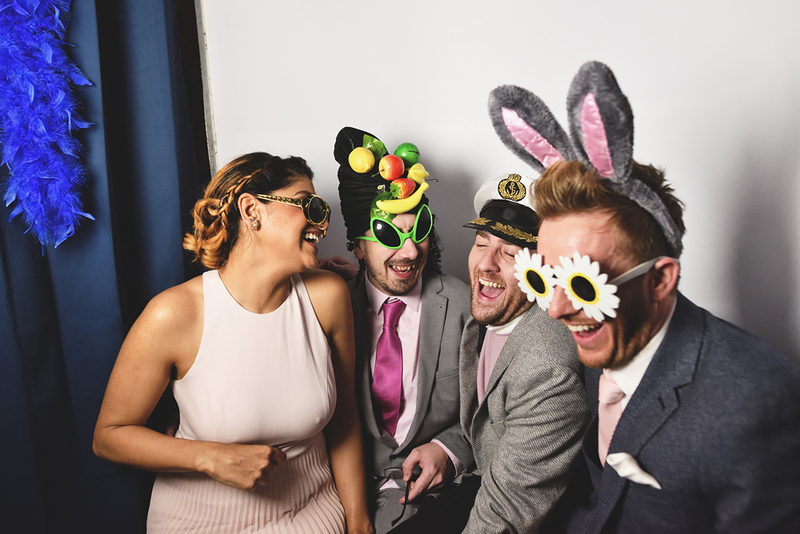 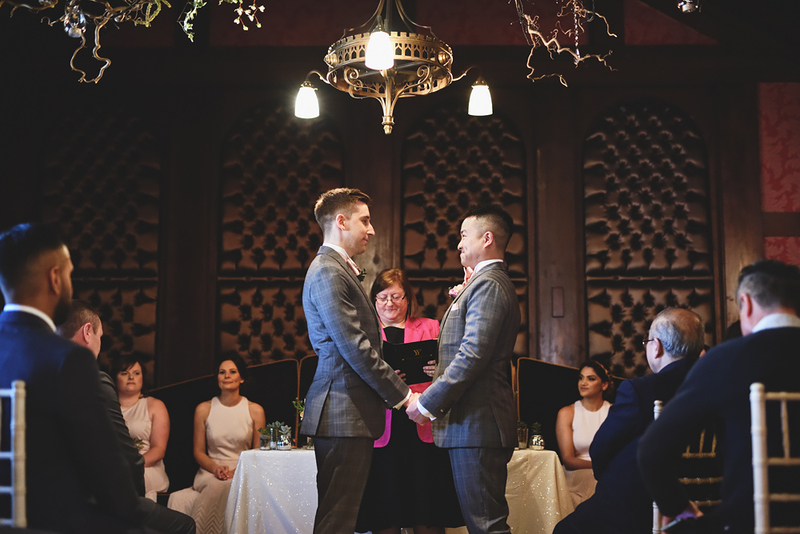 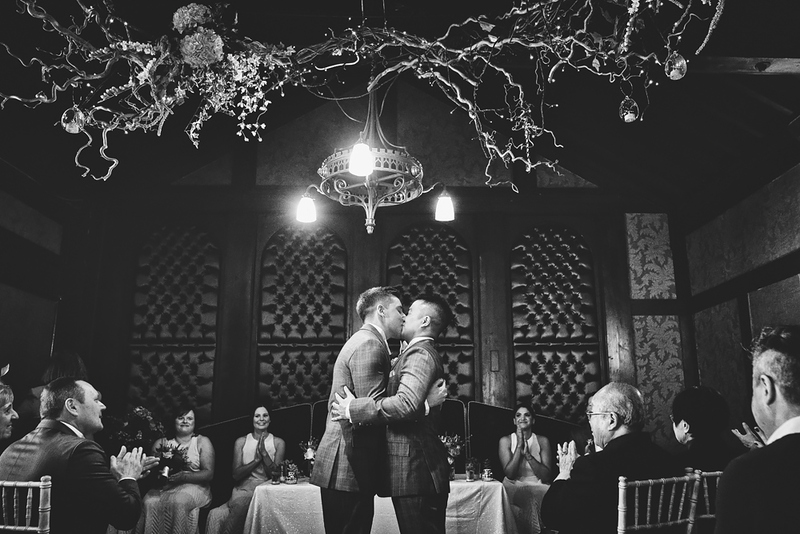 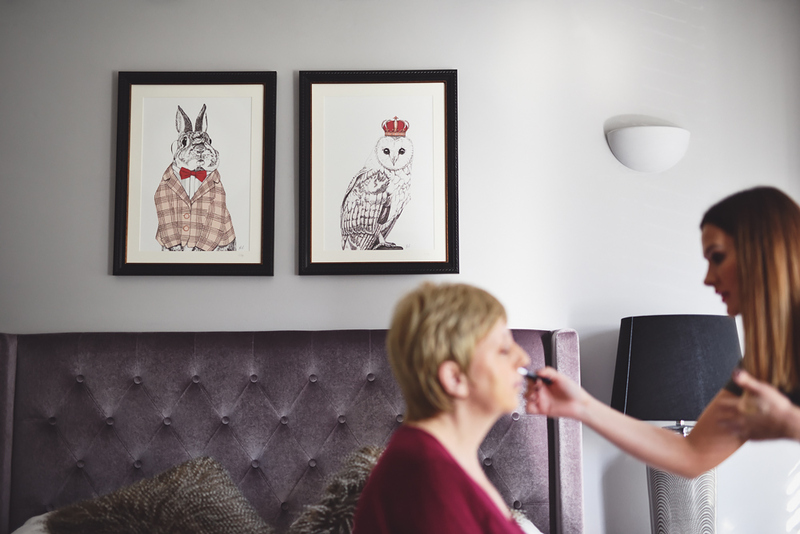 Steven & Michael settled on having their wedding at The Belle Epoque in Knutsford, Cheshire. 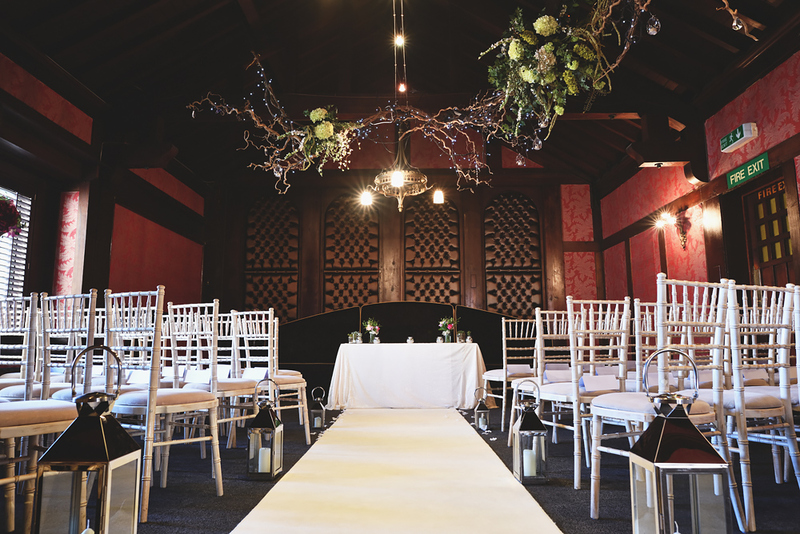 It was my first time working at this stunning grade II-listed building positioned in the heart of Cheshire. 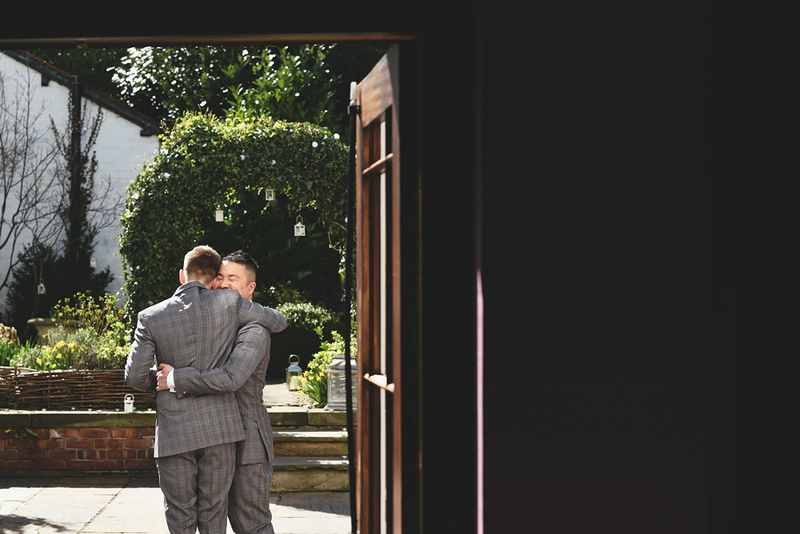 We first met at their friends’ wedding I was covering (Aman & Gareth’s wedding). 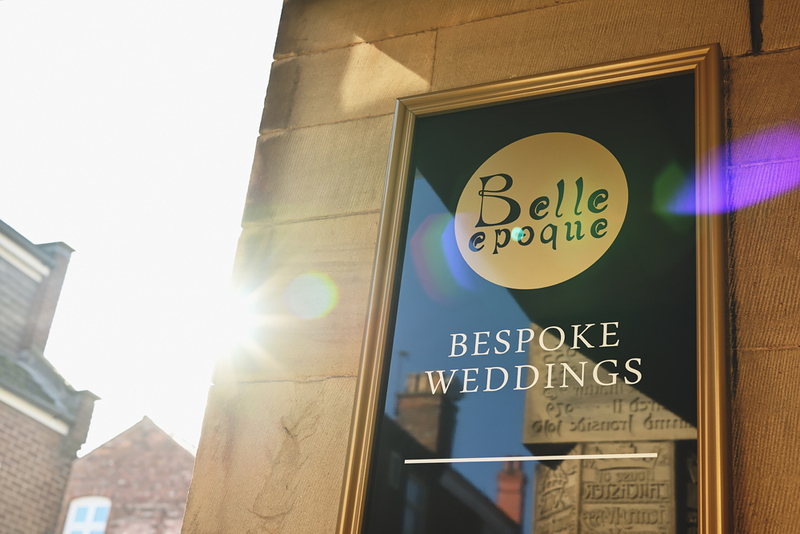 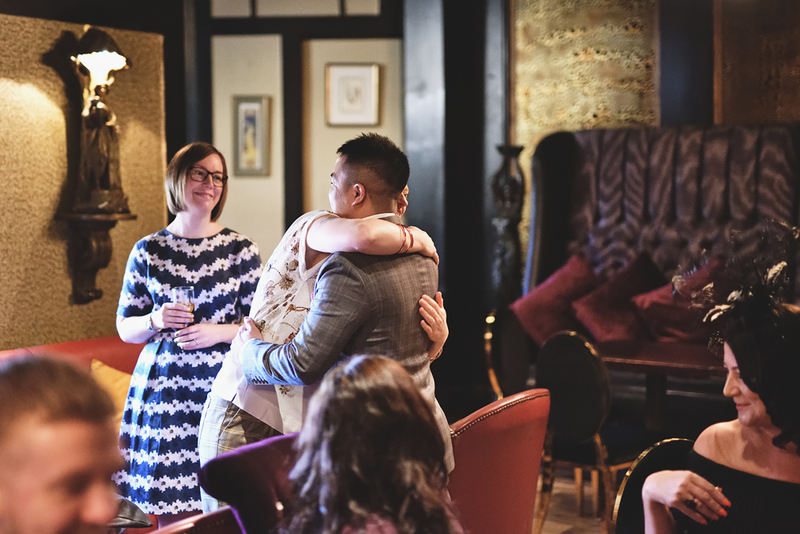 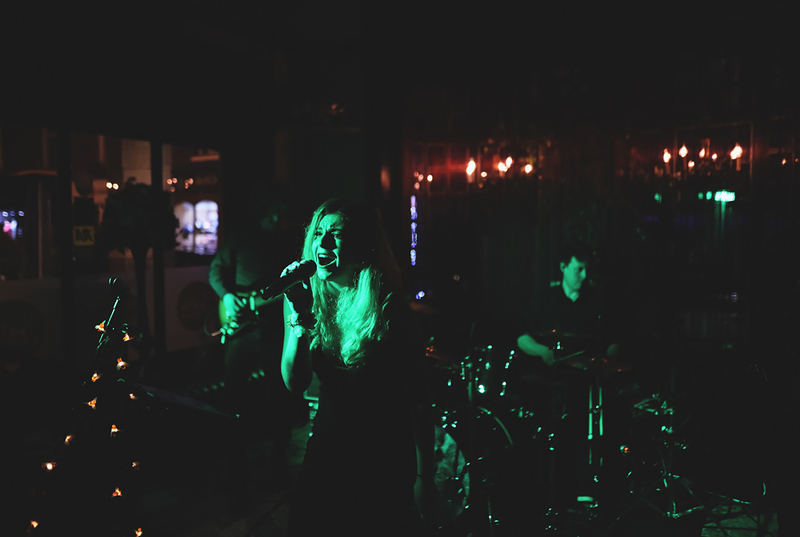 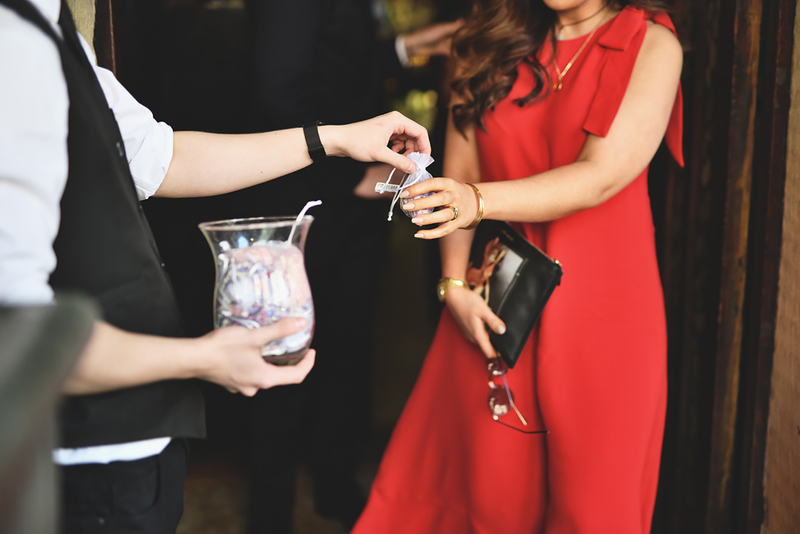 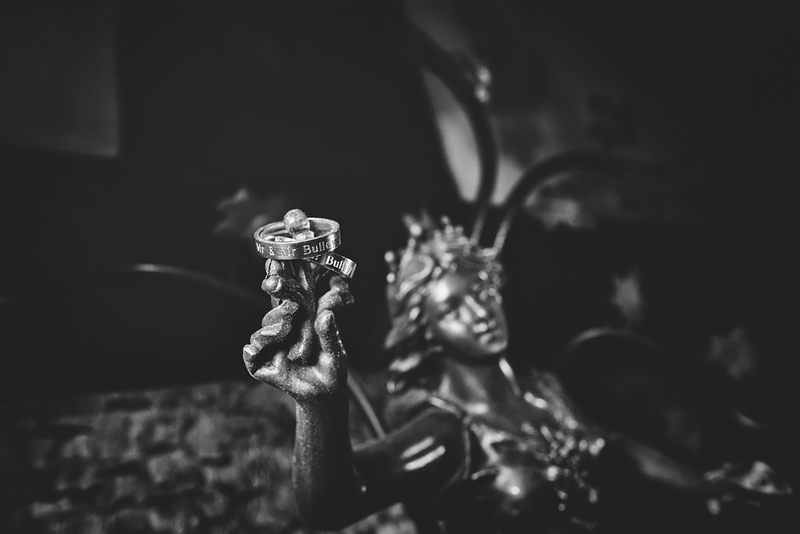 I was really pleased to be booked by these guys, their wedding venue The Belle Epoque looked to be very intimate and quirky, which I just loved. 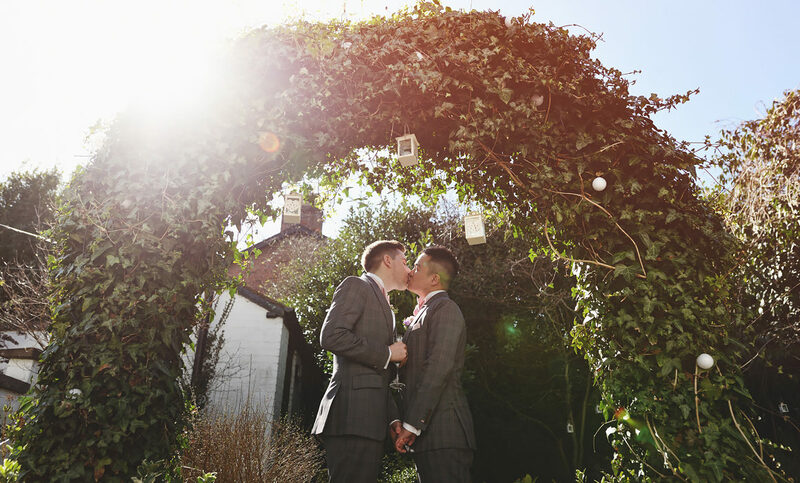 On their wedding day the weather couldn’t have been any better. 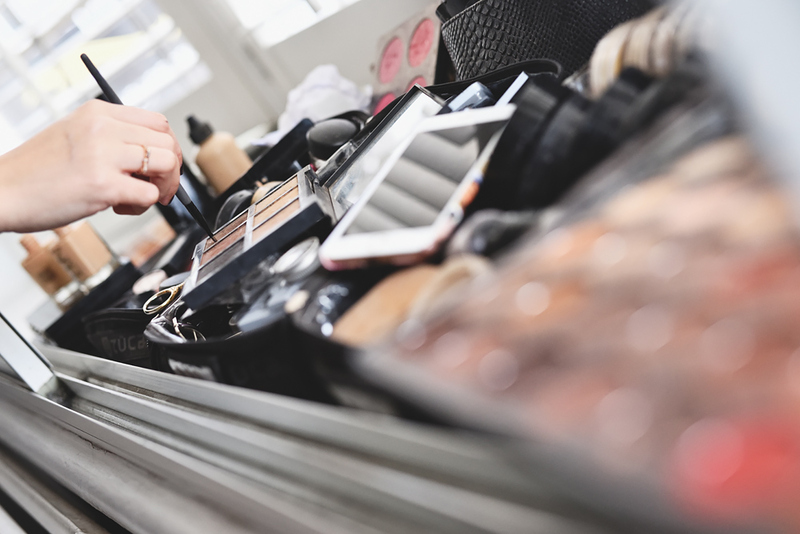 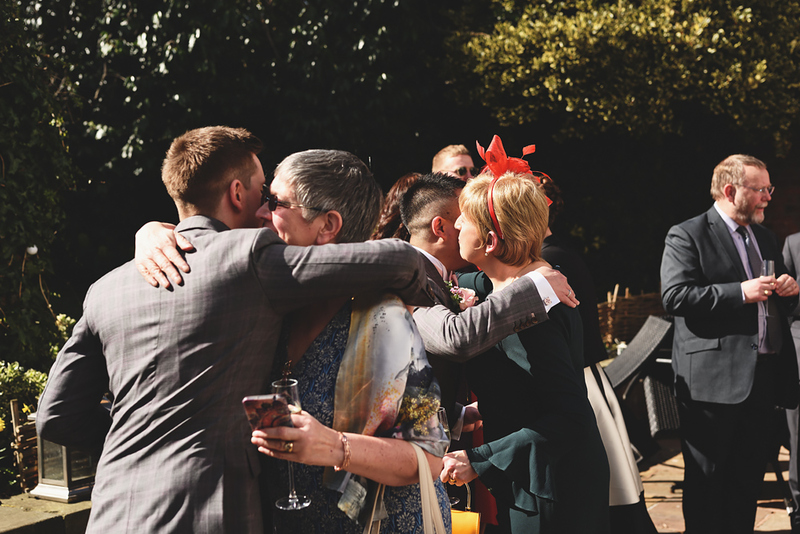 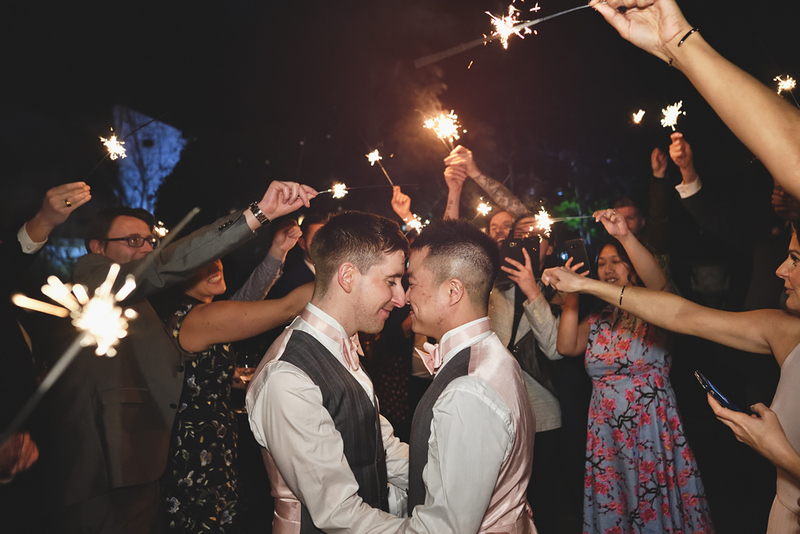 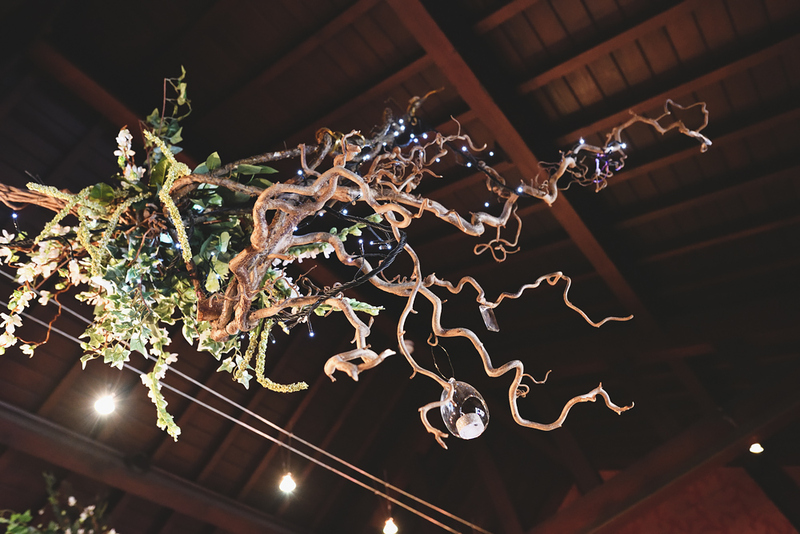 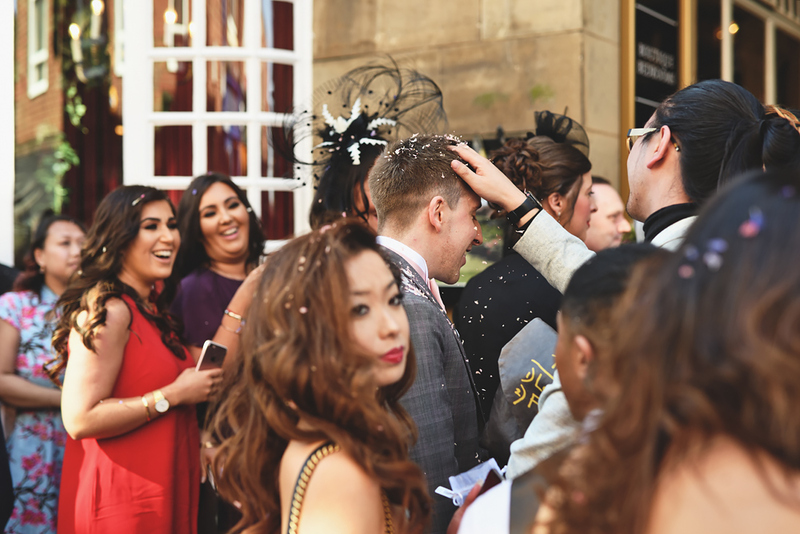 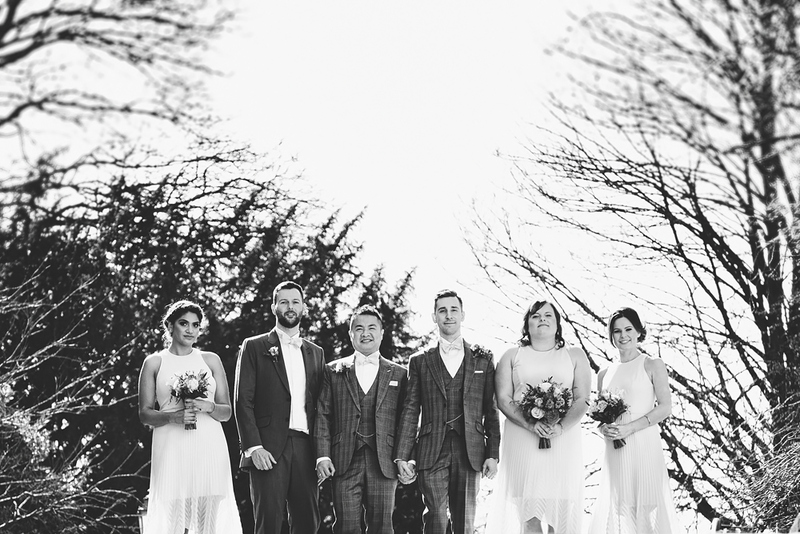 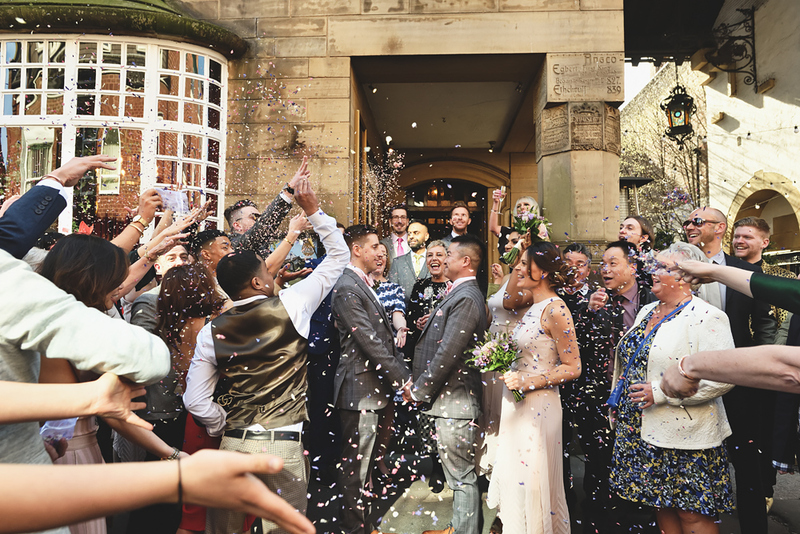 The previous month, we’d seen off the ‘Beast from the East’ and Storm Emma – their wedding day felt like the first official day of Spring! 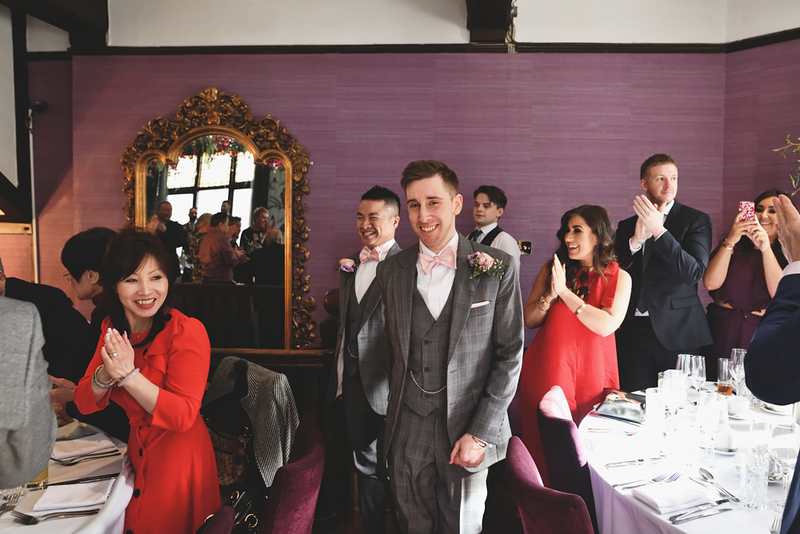 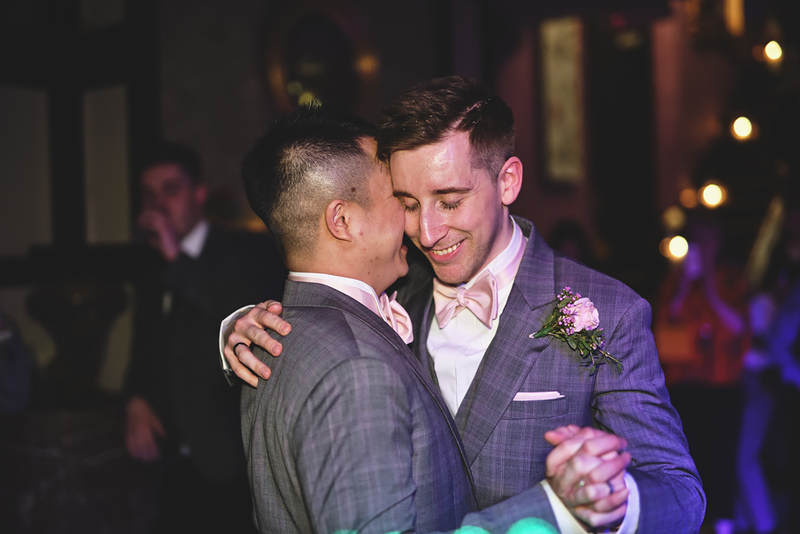 Everything about their wedding at The Belle Epoque in Knutsford was brilliant, they both looked amazing in matching tailored suits with a hint of pink in pin striping and dickey bows. 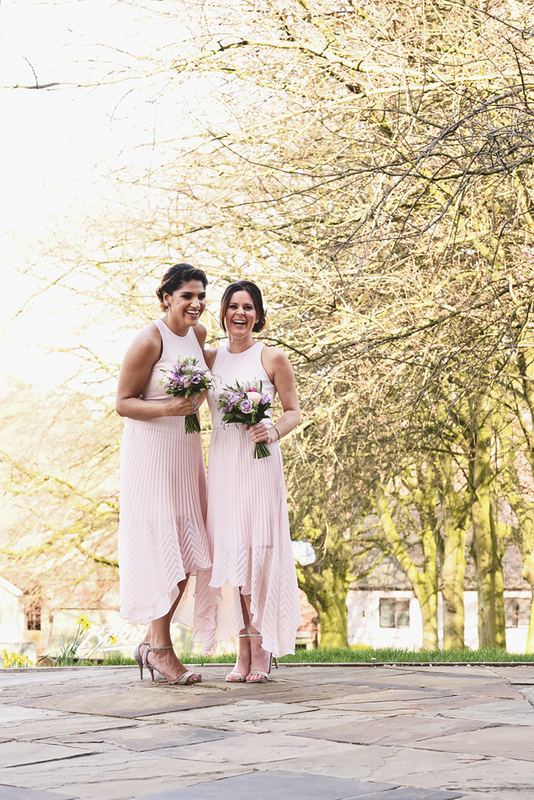 Their wedding party were in matching attire, with the soft pink hue in their dresses and suits. 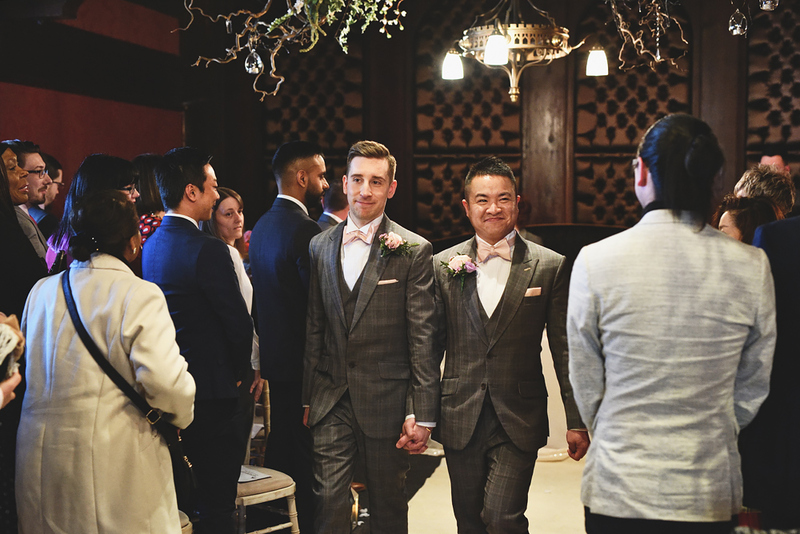 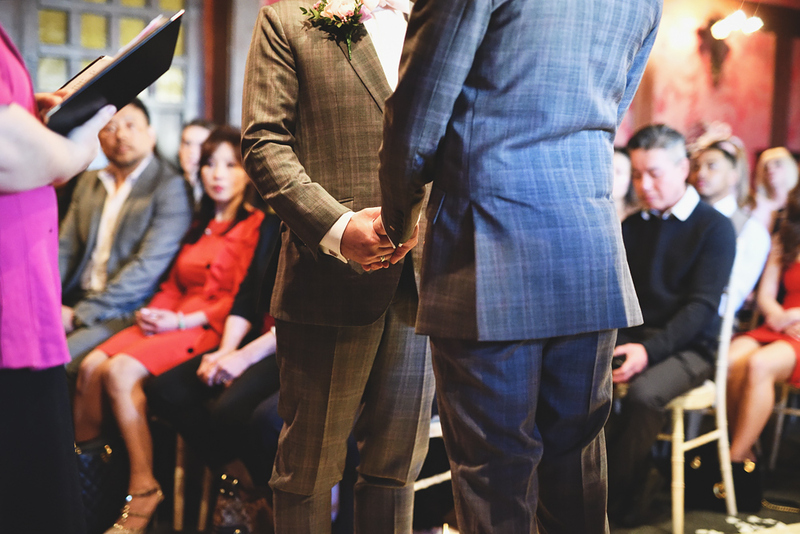 Their standout moments for me had to be during their wedding ceremony. 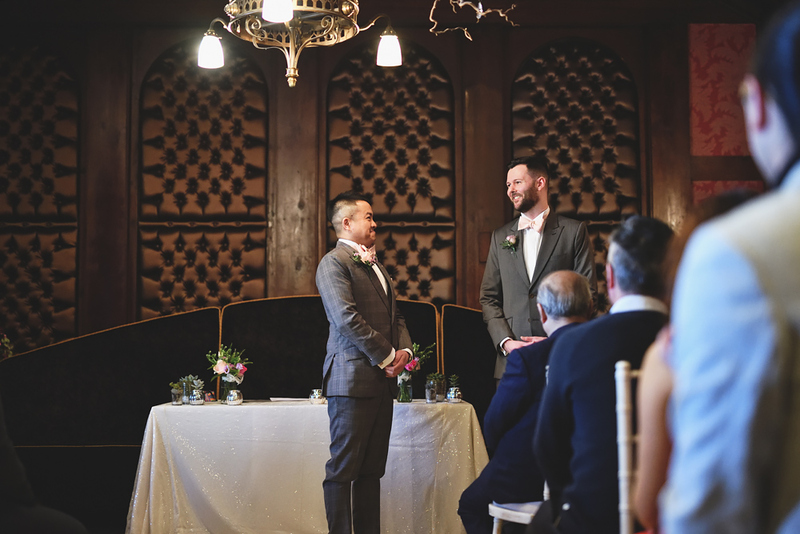 It was lovely to see Steve looking excited at the front, waiting for his husband-to-be to enter – and when they did clock eyes it was genuine, heartfelt stuff. 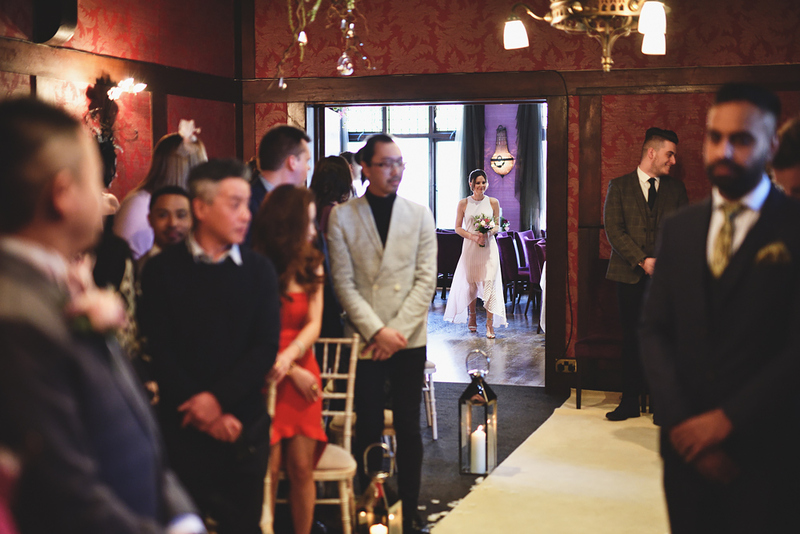 The atmosphere felt very special, helped by the Belle Epoque’s styling, which was dark and moody accompanied with stylish period decorations, making the ceremony room feel very intimate. 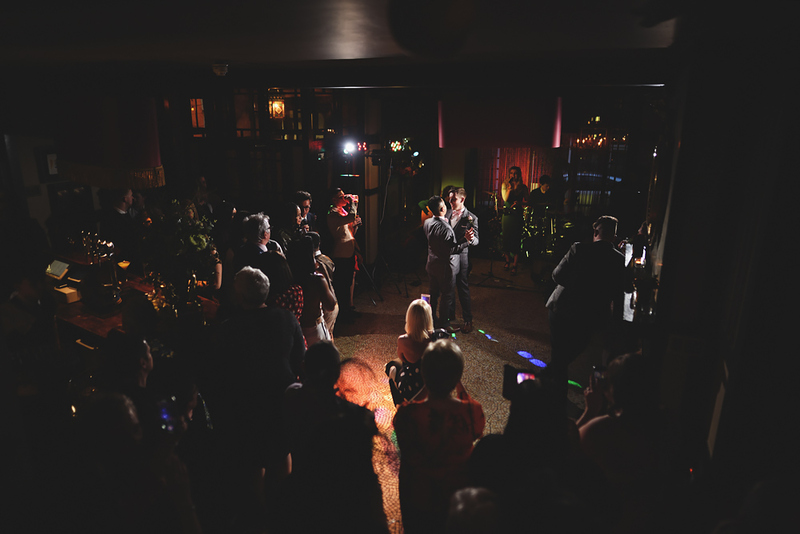 The speeches, ha ha these were very good! 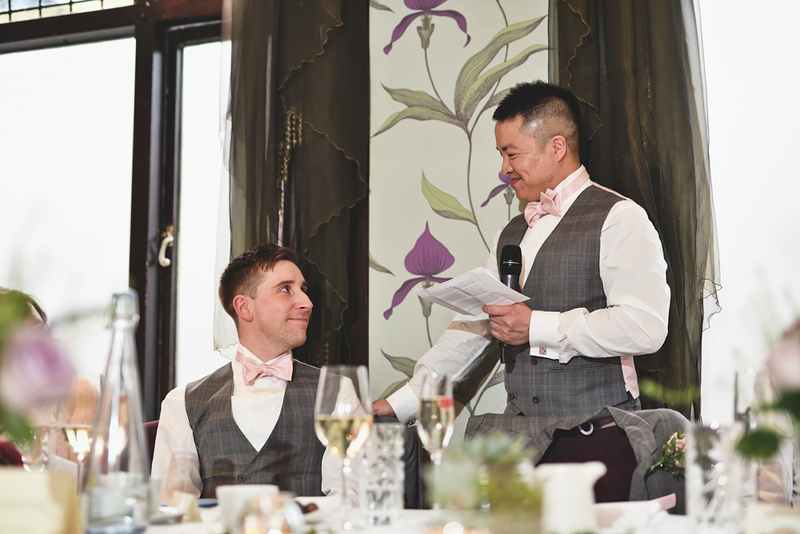 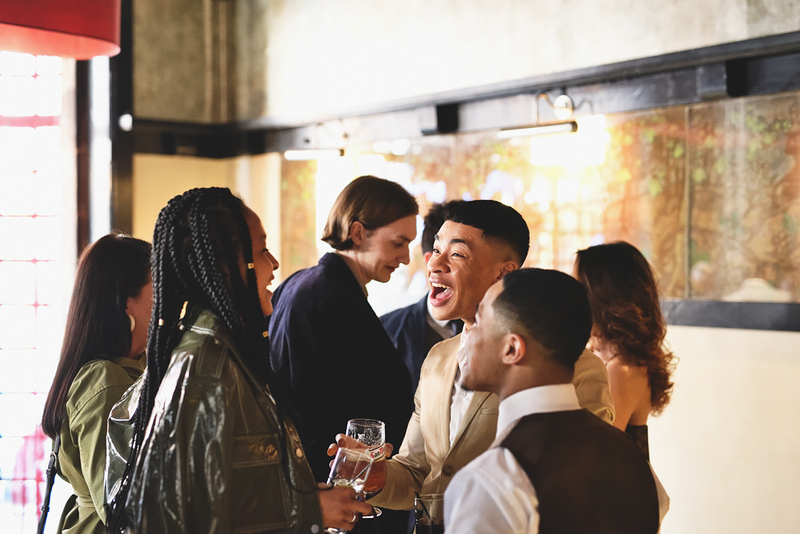 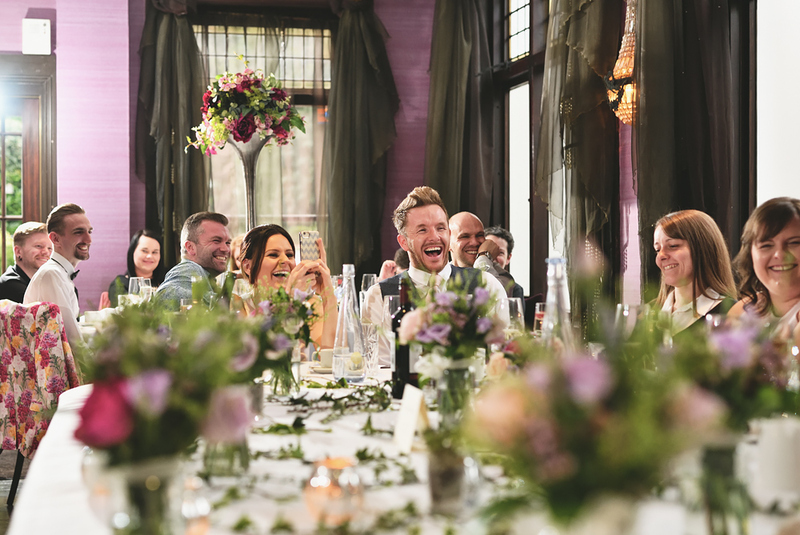 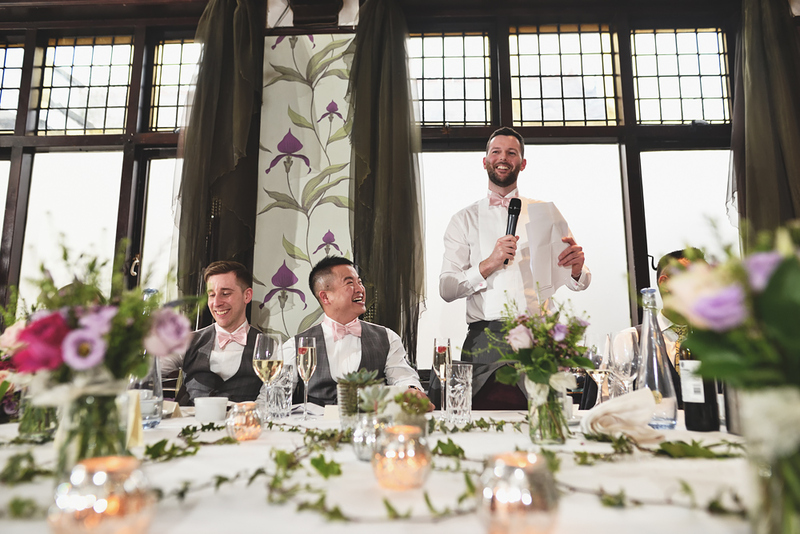 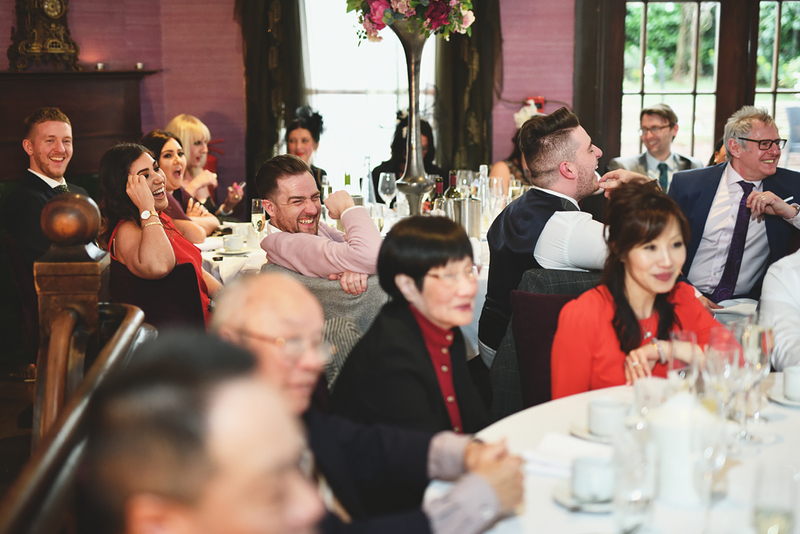 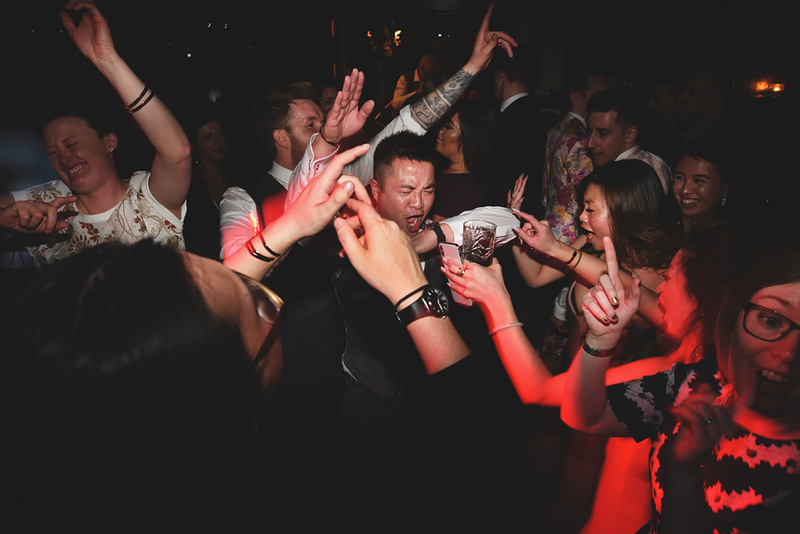 Every year I come across some brilliant speeches, and Steve’s best man really didn’t disappoint – pure uncontrollable laughter filled the reception room at the Belle Epoque, even I was laughing behind the camera = great speech! 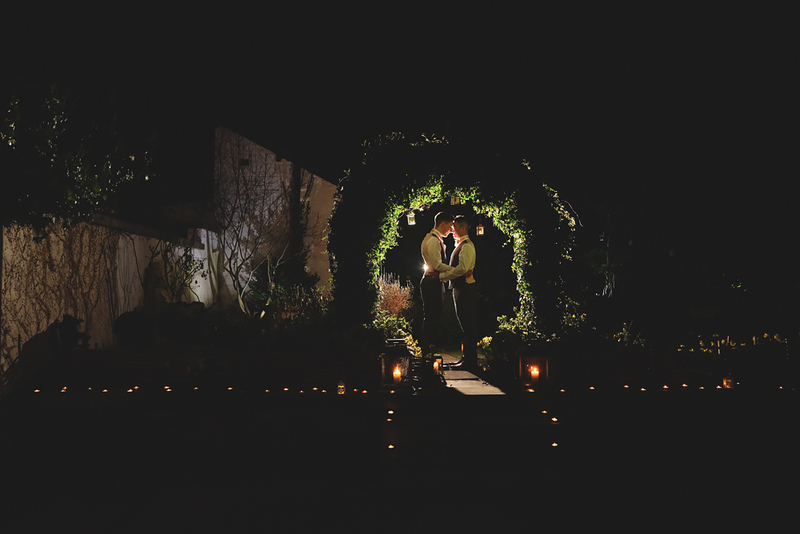 And finally their first dance was something very special, again very intimate, they looked so happy! 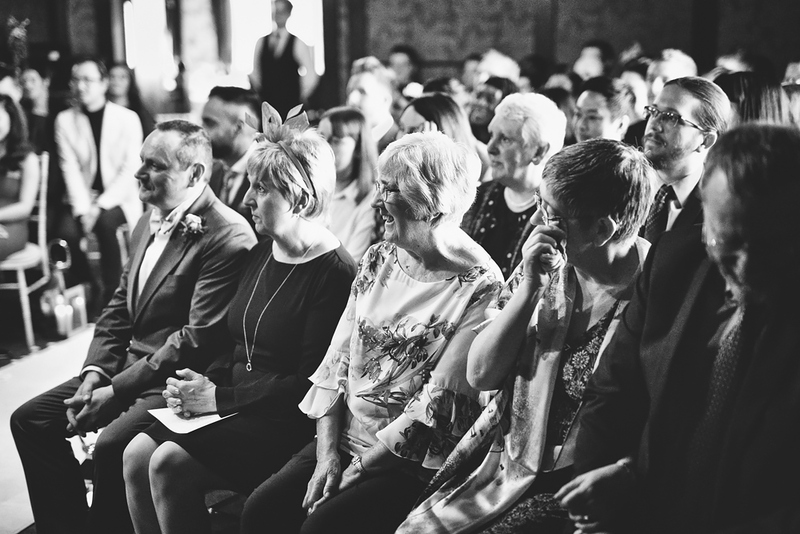 Surrounded by all their family and friends, it made for some spectacular images, especially the one I shot from the stairs looking down – love this series of pictures!! 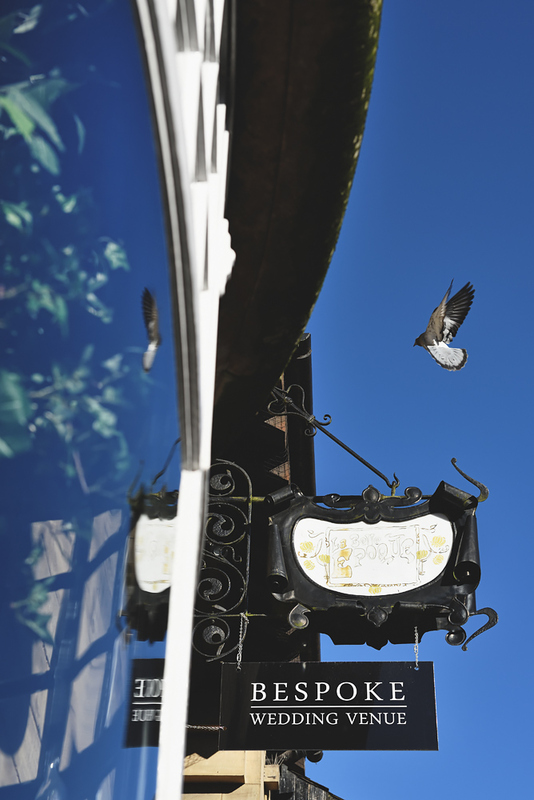 Here are their 50 frames…..